Villas Casa Loma is located on the Pacific coast of Costa Rica in the northern province of Guanacaste. Our property consists of 5 luxury villas set on a hillside, offering unsurpassed views of the Pacific Ocean, Flamingo Beach and the surrounding hills and valleys of this enchanted land. It is approximately 70 acres which we keep in a natural state as a wildlife preserve for the many indigenous birds and animals. Whether you're visiting Costa Rica for a tranquil getaway or an action-packed adventure, Villas Casa Loma is the perfect place to call home for your vacation. 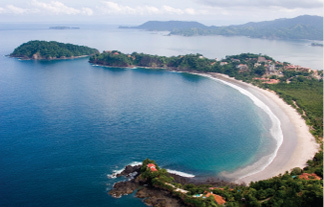 Click here for more information on Costa Rica.